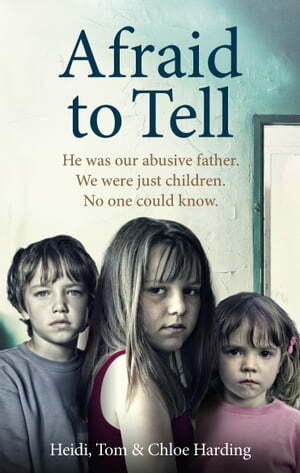 Collins Booksellers - Afraid to Tell by Heidi Harding, Tom Harding & Chloe Harding, 9781473550698. Buy this book online. He was our abusive father. Heidi was 18 when she read her little sister Chloe’s diary, and discovered that they shared a terrible secret: they had both been abused by their father. After years of fear and isolation, Heidi knew she had to go to the police. For a long time, Chloe resented Heidi for forcing her to disclose what had happened when she wasn’t ready, while their brother, Tom, couldn’t understand how he had so misjudged his father, and at first he didn’t believe their tale. The truth threatened to destroy them all. This is the very honest story of three siblings, and how a man they trusted threatened to tear their family apart.